A skate film from a first-time director? Could be fun. Extraordinary. Far, far more than the sum of its scrappy parts. A profound study of youth, adulthood and the space in between. An innocent celebration of skateboarding evolves into a profound study of the transition from youth to adulthood. It begins, as films about skateboarding so often do, with a group of friends slowly carving their way through seemingly abandoned streets – the long, hazy summer of their youth at its blissful midday peak. They perform tricks, goof around and generally hang out at all the usual spots: local skateparks; friends’ houses; fast food joints; school yards; everyday urban spaces where smooth concrete lines and ledges provide an opportunity for expression and to stake a claim to greatness. It’s a familiar picture of teenage reverie and a thrillingly unfiltered evocation of what it means to be young and free. But this is no ordinary skate video, even though it may have started out as one. When Bing Liu first began filming his tight-knit crew around their hometown of Rockford, Illinois, he simply hoped to gather enough footage to cut together a montage of the gnarly stunts and good times that were being had. He certainly never envisioned turning a decade’s worth of material into a profound personal statement on what it means to come of age in America today. 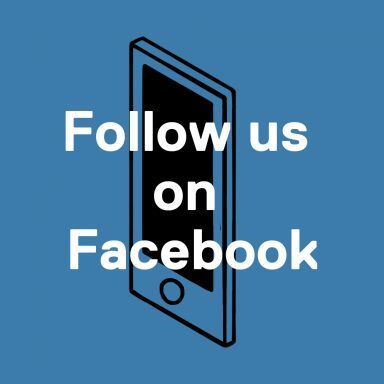 This revelation occurs when Bing notices that many of the kids in Rockford’s skateboarding community are struggling with the same anxieties and uncertainties. Acting on impulse, he sits down and asks them about their experiences, and in turn they open up to him about everything that’s going on with them. A pattern of absent parents and tough upbringings emerges, etched onto a backdrop of social decay in a Rust Belt town hit hard by recession and rising unemployment. What was initially a lighthearted snapshot of bruised knees and broken boards suddenly becomes an intimate portrait of bruised psyches and broken homes. Forcing himself to become an active participant in his subjects’ lives, Bing encourages two of his closest companions, Kiere and Zack, to share their thoughts on masculinity, mental health and relationships, as well as repressed memories from their childhoods. At one point Kiere, the youngest of the three, recalls a time when he was disciplined by his late father. “Well, they call it ‘child abuse’ now…” he hazards before skirting around the details of the beating he suffered. “Did you cry?” urges Bing, to which Kiere counters, “Wouldn’t you?” “I did,” says Bing. 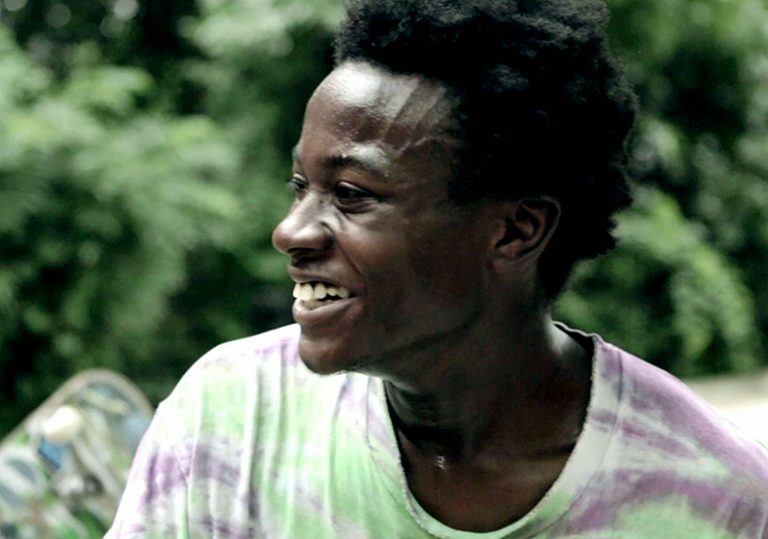 Perhaps the bravest trick Bing pulls off in Minding the Gap is a 180 with his camera. Near the end of the film he interviews his estranged mother, confronting her about her violent ex-husband (Bing’s stepfather) in the hope of shedding some light on his own history of domestic abuse. Though it doesn’t necessarily bring the closure he’s looking for, this heart-wrenching moment reveals to Bing – and the audience – that grown-ups are just as fallible as kids, and they most certainly don’t have all the answers. 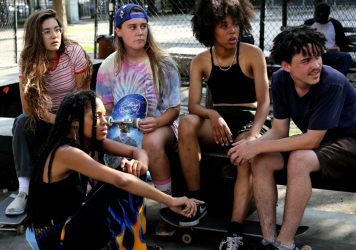 The film’s title ultimately refers not to the physical distance between two surfaces but the emotional leap young people are supposed and indeed expected to make en route to adulthood. Yet if nothing else this remarkable film proves that maturity and age are by no means directly proportional. Crystal Moselle’s New York-set tale of female friendship is one of the most exhilarating films of the year. 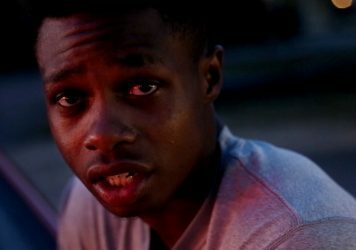 Filmmaker RaMell Ross weaves a transcendental tapestry of black lives in present-day Alabama.